After the central government ordered to demolish all religious statues in Wu’an city, local people decided to conceal 500 Buddhist statues inan attempt to save them. An almost 30-meter-tall statue of Buddha did not survive. After the local authorities ordered to demolish all religious statues in Wu’an city, according to the central government’s policy, local people decided to conceal 500 Buddhist statues in an attempt to save them. An almost 30-meter-tall statue of Buddha did not survive. According to internal sources, at the beginning of November, the Religious Affairs Bureau in Wu’an, a county-level city in the southwest of Hebei Province, convened a meeting to discuss an order by the central authorities that demanded to intensify control over religions. In the meeting, the prevention of the propagation of Tibetan Buddhist culture was emphasized, requiring to restrict and supervise all activities by the local Buddhists. The local authorities have also demanded that 502 administrative villages under Wu’an city’s jurisdiction dismantled all religious statues, as per the provisions of the new Regulation on Religious Affairs. Even popular Buddhist-themed tourist attractions were not spared. 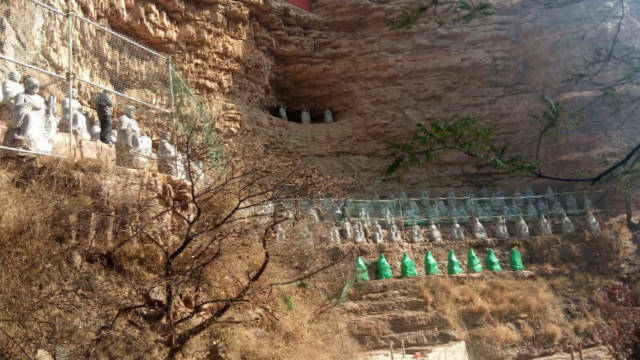 At the meeting, 500 statues of Arhats – Buddha’s disciples who have gained insight into the true nature of existence and have achieved nirvana – at the Qibugou Scenic Area, a popular tourist attraction in Wu’an, have been approved for demolition. The Arhat statues in the Qibugou Scenic were wrapped in green cloth and decorated with artificial flowers. 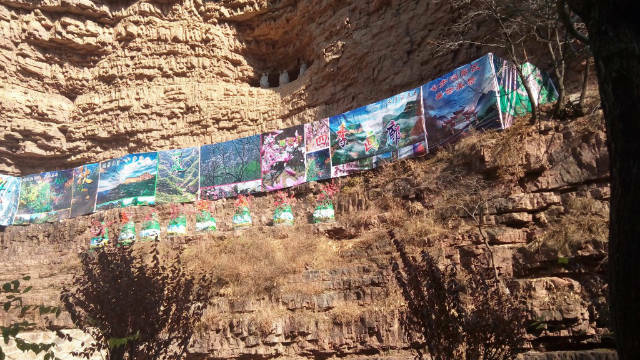 To save the statues, local people decided to hide them: some have been wrapped in green cloth and decorated with artificial flowers; while others have been concealed behind advertising billboards. Advertising billboards concealed some Arhat statues. 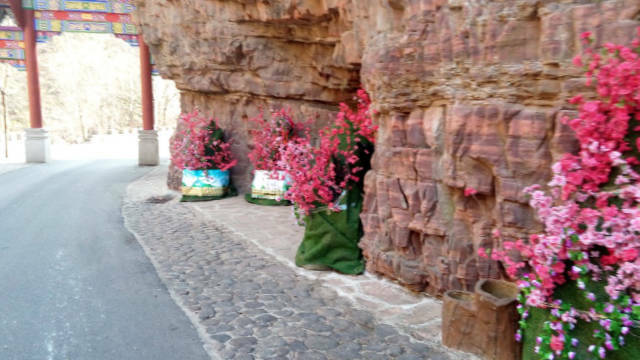 A staff member at the Qibugou Scenic Area said that the statues could still be demolished if the authorities do not approve the way they had been covered. The management of the site could also be fined. Some statues were covered with green cloth. The Giant Buddha at Jingniang Lake has also been designated for demolition by the local authorities. Ever since its construction in 2003, the 29.9-meter-tall statue was a favorite among local people, so, they found it hard to accept the government’s decision to destroy it. The locals had tried to come up with ways to retain the Giant Buddha, but, faced with CCP’s heavy-handed policies, they failed. 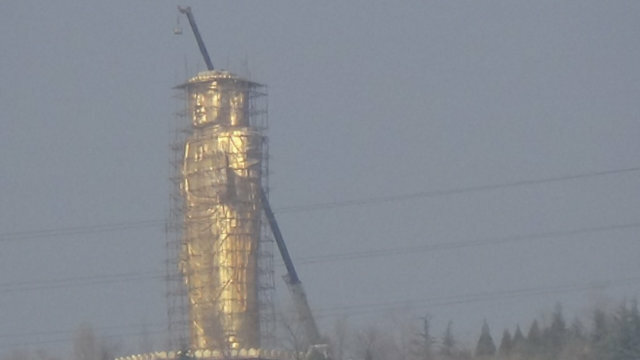 The authorities have started demolishing the 29.9-meter-tall Giant Buddha at Jingniang Lake. When Bitter Winter reporters visited the Jingniang Lake on November 13, the demolition equipment had already been set up around the Giant Buddha, and the process of dismantling was in progress. Last edited in December 8, 2018.